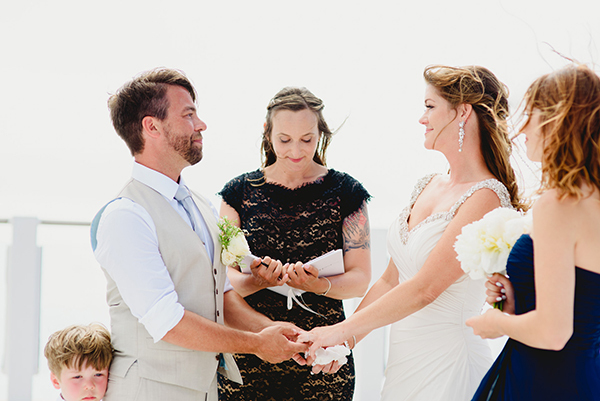 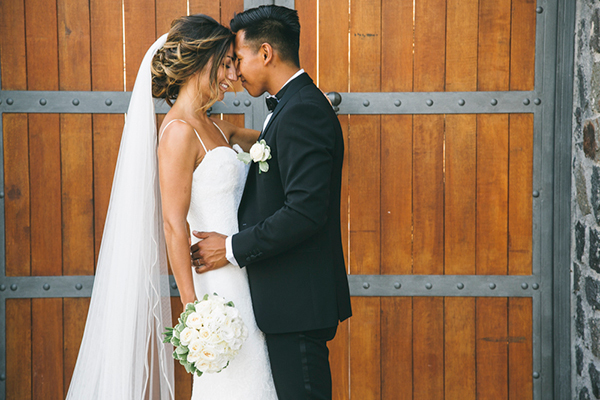 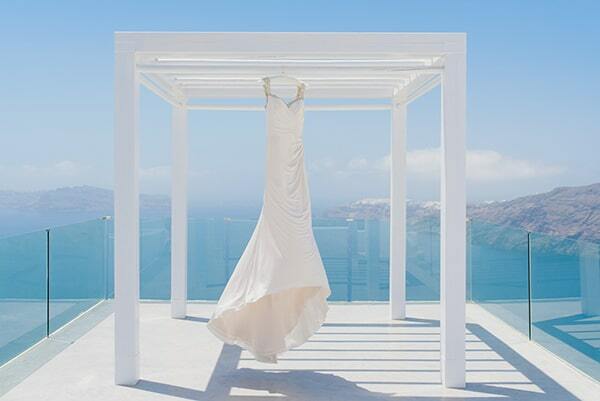 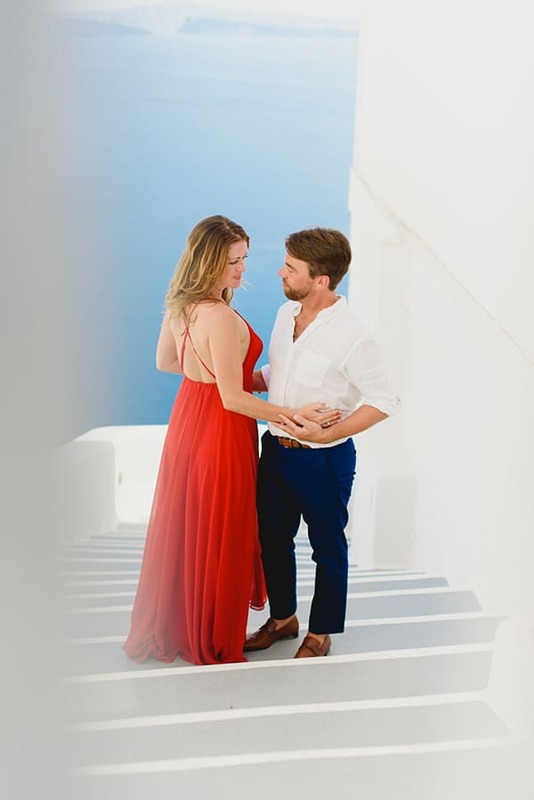 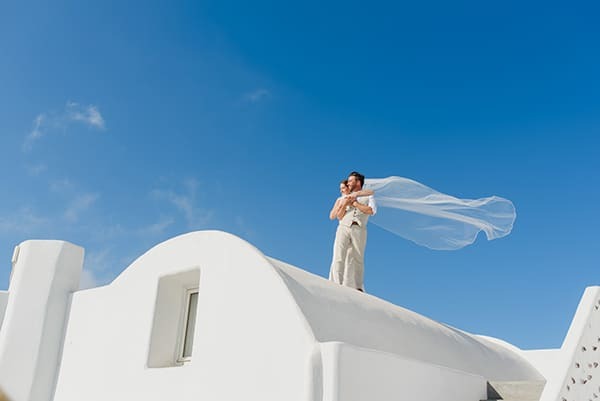 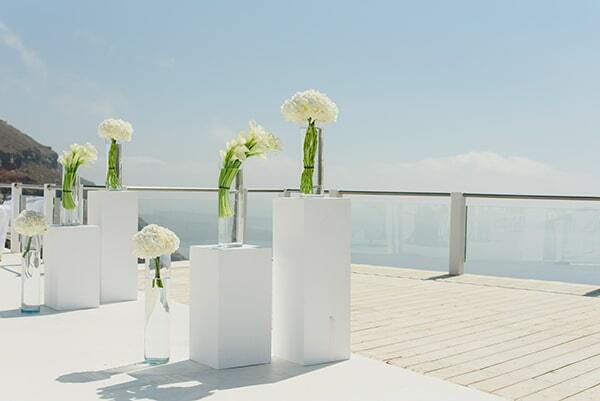 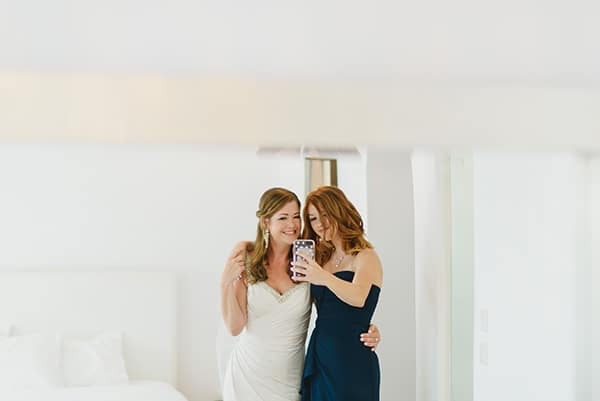 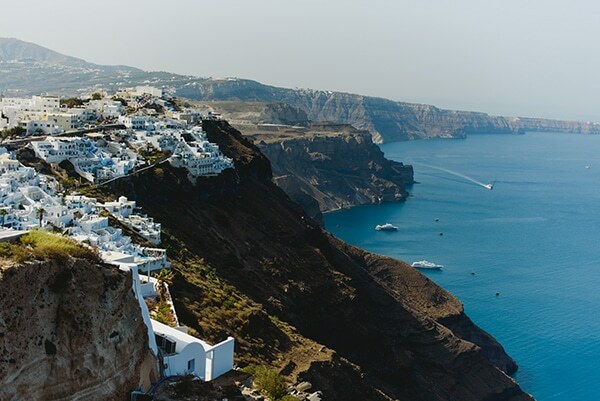 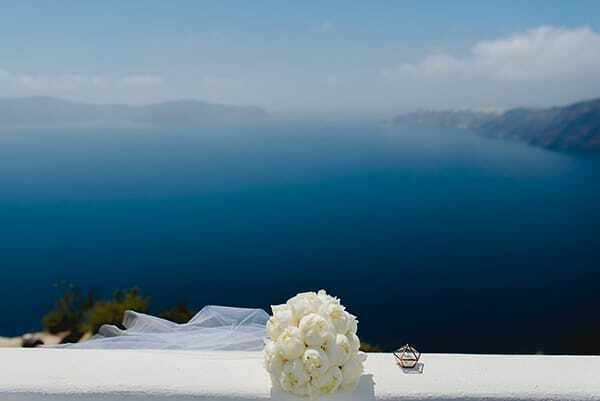 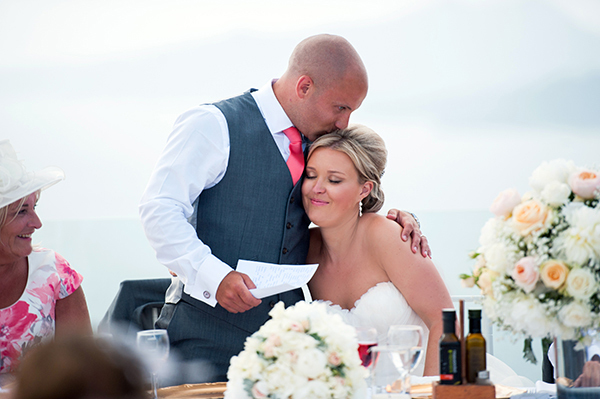 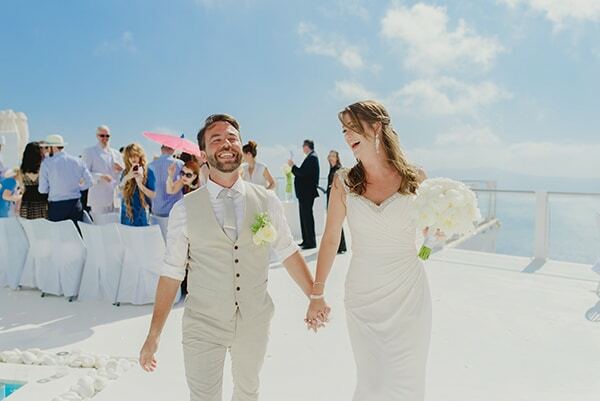 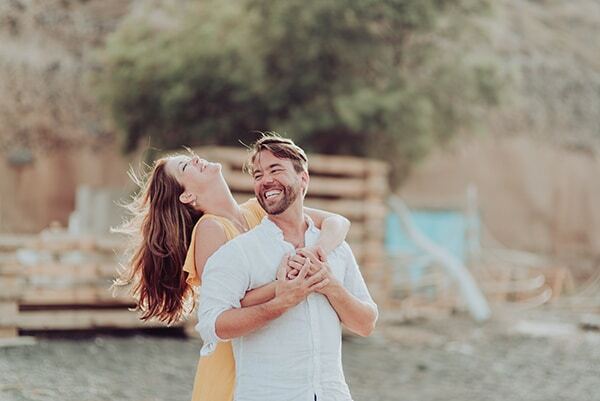 Cristin and Alexis chose to seal their love in one of the most gorgeous, romantic islands… Santorini! 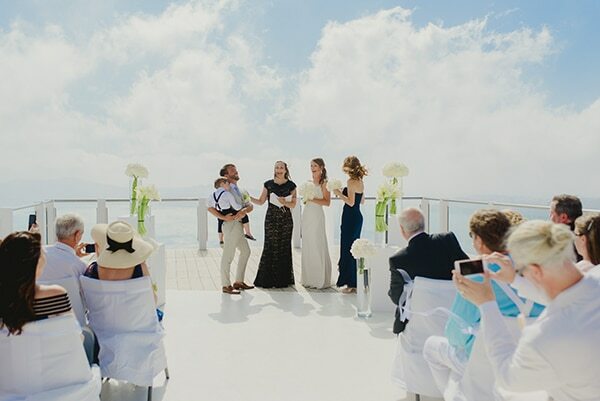 They decided to create an intimate wedding with the most important people of their lives and celebrate all together this special day. 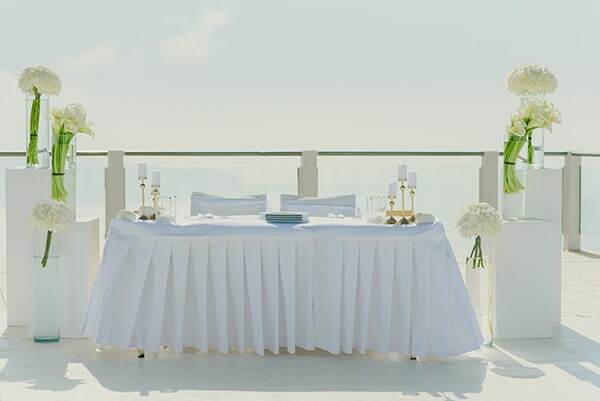 The luxurious Rocabella Santorini Hotel & Spa was gorgeously decorated with minimal yet timeless decoration in white and green hues. 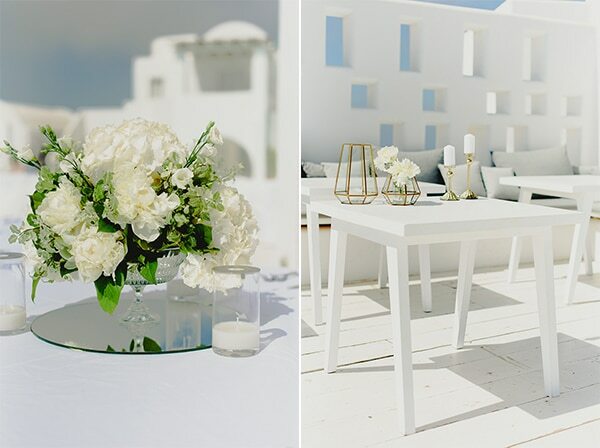 Fresh white flowers, gold touches, geometric details and small candles completed the whole scene and added the essential sense of elegance and romance. 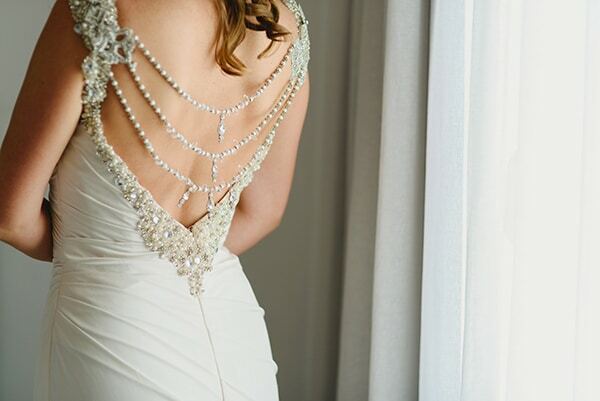 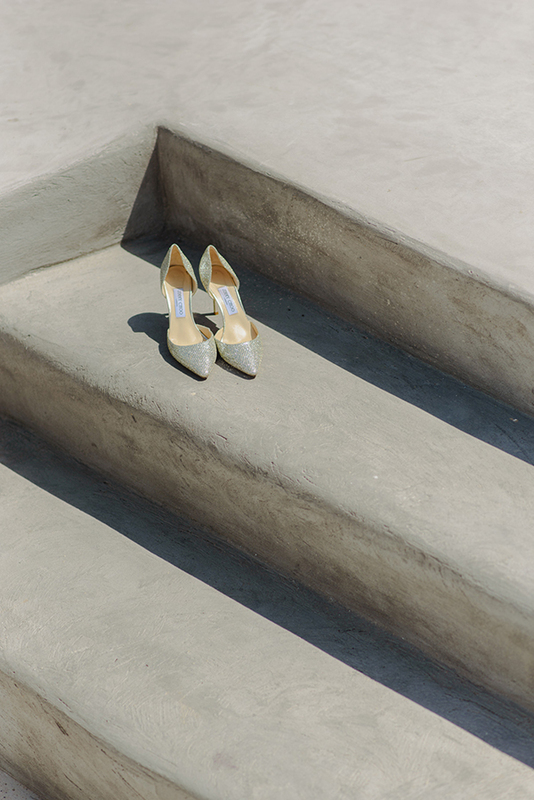 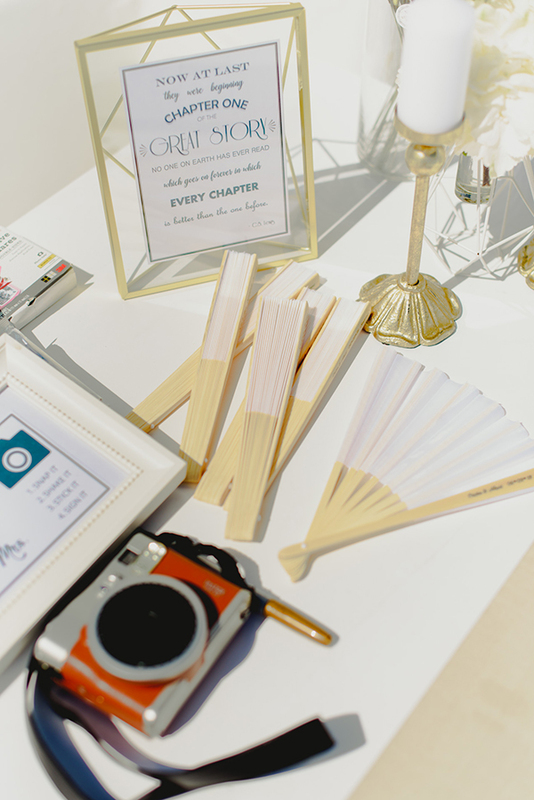 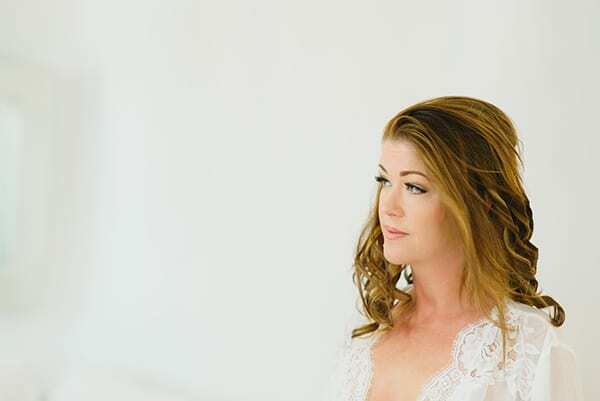 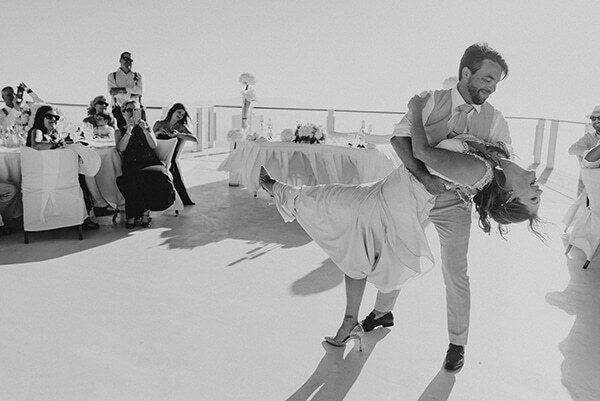 Enjoy every single detail of this beautiful wedding in an idyllic place… Captured by Nikos Roussis Photography!